Hey there! I’m Kaylin. I live in Maine, and I’ll be attempting a NOBO thru-hike of the Appalachian Trail in 2019! I’m a senior in high school, a lover of mountains and the earth, a newbie to road biking, and a wannabe long distance hiker. I first heard of the AT when I climbed Mt. Katahdin several years ago, and have been hooked on it ever since! Over the past couple of years, I’ve spent many days exploring Maine’s mountains and sections of the trail. Mt. 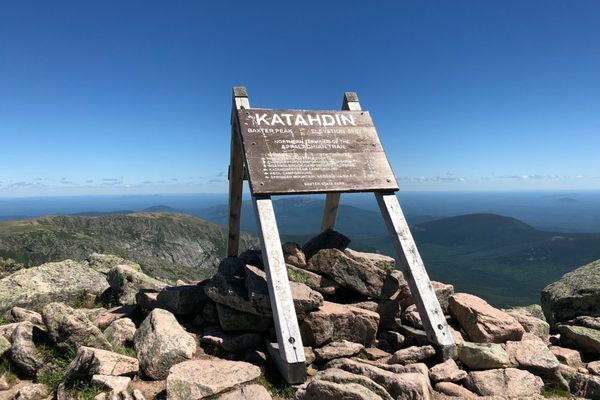 Katahdin holds a very special place in my heart and I can’t wait to touch that sign again after (hopefully!) walking 2,190 miles!